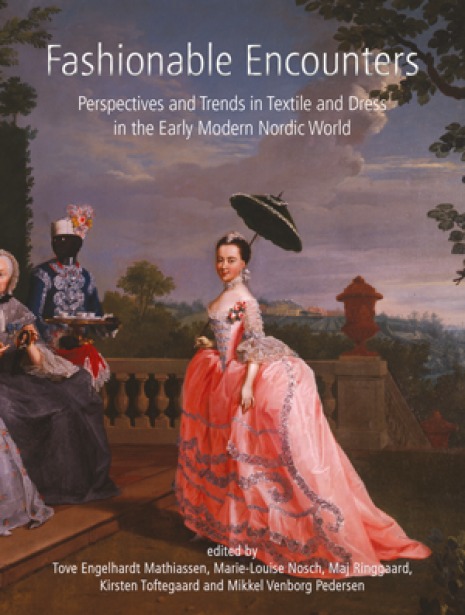 Tidigare post doc på Centrum för Modevenskap, Patrik Steorn, har bidragit med en text i publikationen Fashionable Encounters: Perspectives and trends in textile and dress in the Early Modern Nordic World. Publkationen var ett resultat av ett forskningsprojekt finansierat av HERA. Redaktörer för publikationen är: Tove Engelhardt Mathiassen, Marie-Louise Nosch, Maj Ringgaard, Kirsten Toftegaard, Mikkel Venborg Pederson. "At the heart of this anthology lies the world of fashion: a concept that pervades the realm of clothes and dress; appearances and fashionable manners; interior design; ideas and attitudes. Here sixteen papers focus on the Nordic world (Denmark, Norway, Sweden Finland, Iceland, the Faroe Isles and Greenland) within the time frame AD 1500–1850."